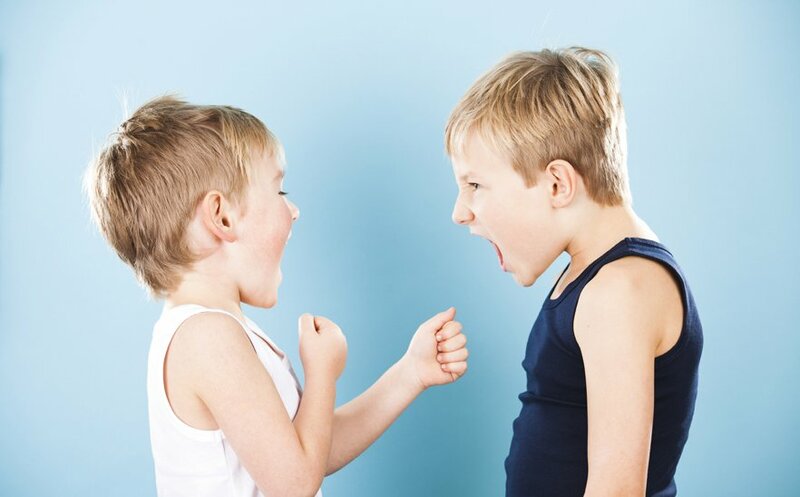 Need parenting tips on how to handle sibling rivalry? My own recent experience will hopefully shed some light on this common parenting trap. It was a weekend when was thinking through all the errands I had to run later that day and how to max the drive to get the most done in the shortest amount of time while at the same moment pulling a pair of my daughters clothes right-side out to spray the spots and toss it into the washer when it happened. “Dad!!!! SHE (pointing a finger) doesn’t want to play by the rules and we were on the trampoline FIRST!!! !” “Na-uh!! YOU always exclude me when your friends come over!! You treat me different when THEY’RE around!! It’s not fair!!!”. First, when kids are upset and emotional they can’t problem-solve rationally. The executive functions of their young brains are not as developed and experienced as adults so children naturally are more emotional and reactive to stress and disappointment. One well-intentioned error we often make as parents is to expect that our kids will understand when we rationalize with them on issues. But this often does not work. That’s why validating emotions is a first step to helping kids start to think through what is going on. So, help them calm down for a few minutes. Oftentimes it is helpful to separate kids so they can clear their emotions some. Show empathy to them one-on-one. I try to do this by stopping whatever I am doing for a minute or two, looking them in the eye, even getting down on one knee to be eye-level with them, and saying things like, “You feel ____,” “When _____ happened it made you feel ____.” We can also show we are listening by removing our own stress and reaction to their upset feelings. Try and help them remain objective and avoid any personal attacking. If that continues then they may need to have a longer break until the emotions pass. Sometimes kids just need an adult mind to guide them in the process and stick to the subject. Finally, praise them when they come up with a solution. “Wow! Look at you two! You figured that out all on your own!” If your day is busy and it slips your mind you can always bring this back up during dinner and kids love being praised to other parent. One important point to remember. Like many other parenting issues, this will take time. Learning new behaviors and ways of problem-solving take time for children because of their immaturity and youth. But the earlier parents start the better outcomes they may have as children grow up. I also feel that if I balance my own growth with theirs it helps with my own patience. For me this is my reactions to their conflicts with each other. And it’s really the same process for me: calming myself, thinking of how I can help them find solutions, and praising myself when I do well.